When we were in Monument Valley in America we ate something called Navajo Fry Bread that was served either sweet or savoury and was kind of doughy on the inside and crispy on the outside. When we went to Vienna we wanted a snack while we were at the zoo and kept seeing snack stands advertising langos which were very similar but I think served with garlic butter. My boyfriend loved them and I kept intending to make them at home but never got round to it. When I was looking for something to make for Formula 1 Foods to go with the Hungarian Grand Prix I came across langos - I think they are originally Hungarian even though there are popular in Austria. Result! They are very easy to make; they take a little bit of time as you need to leave the dough to prove twice but only for half an hour each time, so I started making these at 11am and we had them for lunch. The recipe recommended serving them with sour cream and grated cheese which was delicious. Mix the flour, yeast and water with salt dissolved in it so you have a dough. Cover and leave to prove for half an hour and then roll out on a floured surface. I had to add a little more flour to my dough as I found it was too wet. Cut out circles with a large circular cutter - I got eight out of this. I would say this quantity serves 2-3 people as a lunch if you have them on their own but I think they would be great with some crispy bacon or you could have just one as part of a fry up. After you have cut out the circles leave them to rise for another half an hour. Heat about an inch of oil in a frying pan and fry the dough on both sides for a couple of minutes until golden brown. Serve hot with a dollop of sour cream and some grated cheese. 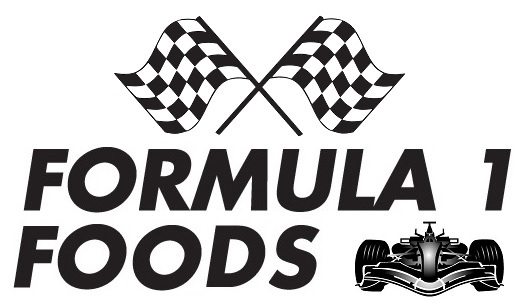 I'm sending these to Formula 1 Foods, the blog challenge I created to tie in with each country hosting the Grand Prix. Please join in! oh my word, these are so perfectly what I want for breakfast! PLEASE come and make them for me! Delicious! I'm bookmarking these to try them myself.